There are four ecosystems, or zones, in Rocky Mountain National Park: montane, subalpine, alpine tundra, and riparian. The riparian zone occurs throughout all of the three other zones. Each individual ecosystem is composed of organisms interacting with one other and with their surrounding environment. Living organisms (biotic), along with the dead organic matter they produce, and the abiotic (non-living) environment that impacts those living organisms (water, weather, rocks, and landscape) are all members of an ecosystem. The complex interactions of elevation, slope, exposure and regional-scale air masses determine the climate within the park, which is noted for its extreme weather patterns. A "collision of air masses" from several directions produces some of the key weather events in the region. When cold arctic air from the north meets warm moist air from the Gulf of Mexico at the Front Range, "intense, very wet snowfalls with total snow depth measured in the feet" accumulate in the park. Colorado is home to some of the most unique and mesmerizing terrain in the American west. Only in Colorado will you see vast beige plains transition into flowering fields and graceful red rock formations transform into the giant Rocky Mountain peaks. With a culture that combines the ruggedness of the frontier days with a laid-back modern mentality, Coloradans are a charming breed of Americans and their state is one of the most beautiful and diverse in the continental U.S. Lawn Lake Trail climbs to Lawn Lake and Crystal Lake, one of the parks deepest lakes, in the alpine ecosystem and along the course of the Roaring River. The river shows the massive damage caused by a dam failure in 1982 that claimed the lives of three campers. The trail is a strenuous snowshoe hike in the winter. Ypsilon Lake Trail leads to its namesake as well as Chipmunk Lake, with views of Longs Peak, while traversing pine forests with grouseberry and bearberry bushes. The trail also offers views of the canyon gouged out by rampaging water that broke loose from Lawn Lake Dam in 1982. Visible is the south face of Ypsilon Mountain, with its Y shaped gash rising sharply from the shoreline. Cushion plants have long taproots that extend deep into the rocky soil. Their diminutive size, like clumps of moss, limits the effect of harsh winds. Many flowering plants of the tundra have dense hairs on stems and leaves to provide wind protection or red-colored pigments capable of converting the sun's light rays into heat. Some plants take two or more years to form flower buds, which survive the winter below the surface and then open and produce fruit with seeds in the few weeks of summer. Grasses and sedges are common where tundra soil is well-developed. While it is possible to travel through Rocky Mountain National Park and not catch sight of any wildlife, we venture to say that is an unlikely experience. From everyday sightings of chipmunks and mule deer to the moving experience of viewing elk in rut (the mating season), the animals in the park let you know that you are part of something truly wild. Some of these critters are harder to spot than others - they might camouflage themselves in the trees or hide in the underbrush - but look closely and you may have an encounter unlike any other. My greatest passion in life is spending time in the Great Outdoors. I am passionate to the point that I chose the Spring Mountains National Recreation Area (Mount Charleston) as my Landmark Review #1,000. My passion for the Great Outdoors created the "Vegas is Sun City Hiking List" that shares over 100 hiking spots close to Las Vegas. Several of these hiking spots are hundreds of miles downriver from the Colorado River that very river that originates in the Rocky Mountain National Park. Trail easy to follow, mostly a trench with packed down snow. I tacked this onto Cub Lake Trail and made a loop. Fern TH to the pool is super easy (1.7 miles), no need for traction. Elevation starts after the bridge and doesn’t quit until Fern Lake. Last half mile of the trail has deep snow and it’s easy to post hole. Started this today (1/10) at 8AM, only person parked at TH (cub lake), did not see a single person until hiking back down from Fern. Relaxing vacations at Boulder Brook’s adult-only romantic cabin resort includes soaks in the hot tub, enjoying the local wildlife, fishing in the river and sitting on your private deck. Choose between oversized studio Spa Suites, or our comfortable one and two bedroom suites. Downtown Estes Park is only 2 miles away with its charming shopping, beautiful river walk and tasty restaurants. There's nothing better than experiencing a new destination with your sweetheart, so consider taking time to discover all there is to see and do in Estes Park. If you and your love want to take in the area's natural beauty, you'll enjoy Estes Park for its mountain views, parks, and wildlife. 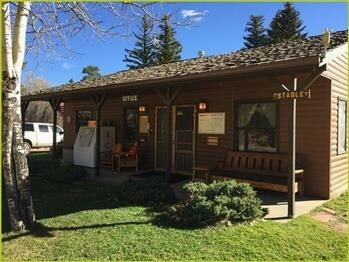 A visit to Horseshoe Park, Upper Beaver Meadows Trailhead, or Fall River Entrance Station might be just the ticket when you're checking out the sights. Step back in time to an old family homestead which sits on 55 acres backing onto Volcan Mountain with vineyard, hiking trails, pool table, hot tub, bocce ball and croquet. 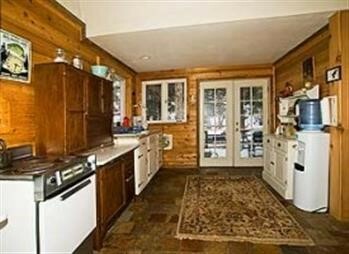 Just 2 miles from downtown Julian and many other attractions. You can walk to well known Volcan Mountain hiking preserve and 2 wineries that offer music, wine tasting, special events and Julian lifestyle every weekend. Glacial geology in Rocky Mountain National Park can be seen from the mountain peaks to the valley floors. Ice is a powerful sculptor of this natural environment and large masses of moving ice are the most powerful tools. Telltale marks of giant glaciers can be seen all throughout the park. Streams and glaciations during the Quaternary period cut through the older sediment, creating mesa tops and alluvial plains, and revealing the present Rocky Mountains. The glaciation removed as much as 5,000 feet (1,500 m) of sedimentary rocks from earlier inland sea deposits. This erosion exposed the basement rock of the Ancestral Rockies. Evidence of the uplifting and erosion can be found on the way to Rocky Mountain National Park in the hogbacks of the Front Range foothills. Many sedimentary rocks from the Paleozoic and Mesozoic eras exist in the basins surrounding the park. Julian’s only Historic Hotel lies in the heart of the turn of the century district just steps away from local dining and shops. The freshly renovated landmark Hotel represents the Gold Rush spirit with historic ambience and modern day amenities. All guest rooms, cottages (w/fireplace) and suites include private baths, free WiFi, A/C, gracious afternoon tea and full two course breakfast. AAA- approved. Surrounded by over 100,000 acres of the Pike National Forest, the Ranch at Emerald Valley is an unmatched, all-inclusive retreat that combines the rustic charm of a wilderness enclave with The Broadmoor’s incomparable luxury and service. Honeymooners can indulge in one of 10 beautifully appointed cabins, featuring gas fireplaces, rich furnishings, and modern amenities. Couples can spend their days fly fishing in pristine mountain lakes, hiking and biking along scenic trails or exploring the mountains on horseback. Afterward, unwind by soaking in an outdoor hot tub and sipping fine wine on a panoramic terrace while enjoying the beauty of a Rocky Mountain sunset. All meals and ranch activities are included as part of the stay, making it an ideal setting for intimate getaways where every detail is thoughtfully handled. Mountain sports enthusiasts can’t deny the draw of Summit County’s ski towns. Breckenridge and Copper Mountain are popular places to hit the slopes, complete with family-friendly activities for any season. Dillon, within easy driving distance of plenty of ski runs, offers world-class sailing and other activities on Dillon Lake. 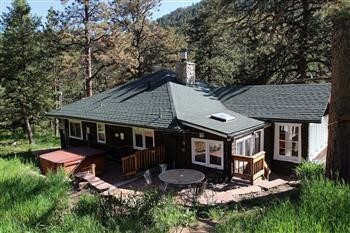 We also offer vacation rentals in the lovely towns of Frisco, Silverthorne, Keystone, and Blue River. You can’t go wrong in Summit County! 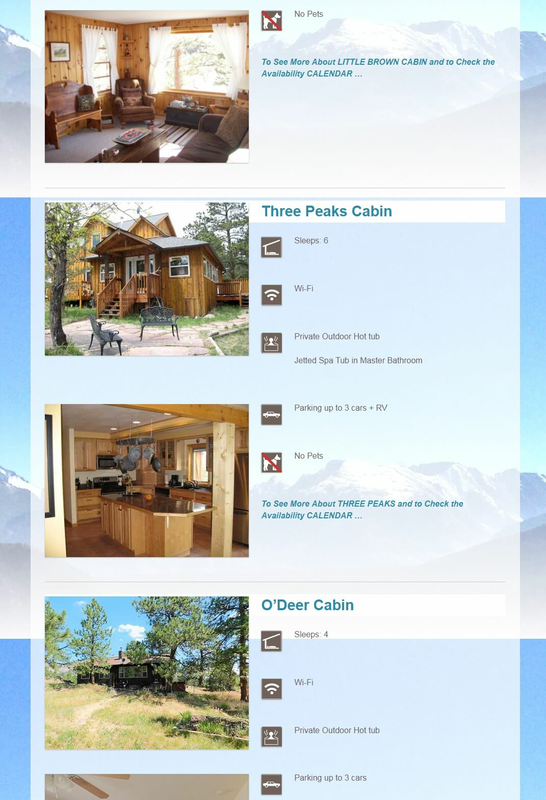 Whether you've come to ski, snowboard, enjoy the views, attend a festival, hike, mountain bike, or to enjoy world-class golf-courses, Ski Colorado Vacation Rentals can help you with your Summit County vacation home rental needs. We offer homes, townhomes, cabins, ski-in ski-out luxury condos and other vacation rentals in Breckenridge and nearby Silverthorne. Colorado is a leader in the American foodie revolution and continues to set the bar nationwide. Seasonal and perfectly fresh foods are the focus, and health-conscious vacationers will find that the cuisine options are limitless. Many restaurants will let diners know which small farms and local producers were used in sourcing their meal. Colorado’s cities are consistently voted among America's best for foodies, particularly for their attention to quality. Below 9,400 feet (2,865 m), temperatures are often moderate, although nighttime temperatures are cool, as is typical of mountain weather. Spring comes to the montane area by early May, when wildflowers begin to bloom. Spring weather is subject to unpredictable changes in temperature and precipitation, with potential for snow along trails through May. In July and August, temperatures are generally in the 70s or 80s °F during the day, and as low as the 40s °F at night. Lower elevations receive rain as most of their summer precipitation. 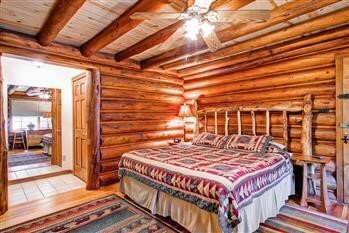 Colorado Cabin Adventures is the perfect mix of comfortable and rustic. 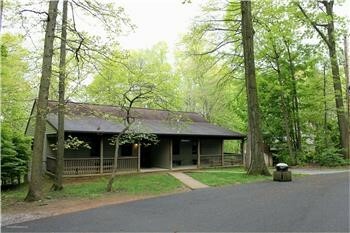 For the outdoor enthusiast who loves to explore and wants to climb the highest peak, we are ideally located. For the aficionado of all things fabulous, who hopes to find inspiration, we are nicely decorated. 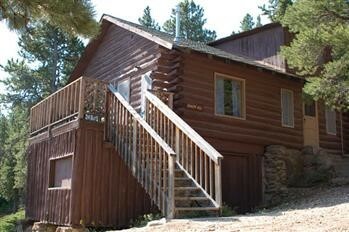 For the rest of the crew, who goes with the flow and wants to just have fun, we are Colorado Cabin Adventures. 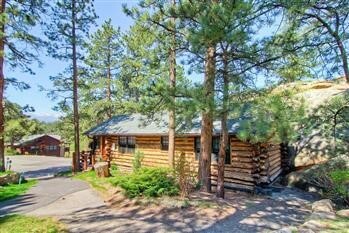 This charming cabin is found in Nederland, Colorado, right in the thick of the wilderness. This spacious cabin will give newlyweds the perfect setting to begin the start of married life with the comfort of high-end amenities and gorgeous views of the great outdoors from the comfort of an incredible accommodation. With all the amenities and facilities you would need for a home, a full kitchen, queen sized bed, full entertainment system, and a BBQ, couples will love their escape to this rental. 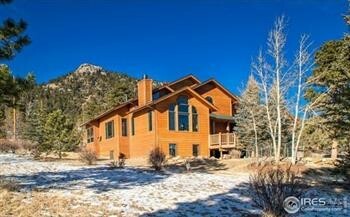 This cabin is nestled into the Rocky Mountains, providing couples with a lot of new adventures to embark on.